Welcome to our Edmonton Dental Office! When you are looking for a new dentist, it can be difficult to find one that will fit your needs. It is also important to find a dental office that is up to date, has a good following, and has dentists with flexible hours. At Kingsway Dental Centre, we go above and beyond simply being your dentist, we take the time to get to know you and make sure you feel comfortable before any procedure. Services – The most important aspect of finding the right dentist is making sure they offer the services you need. If you have a family, you should find an office that offers children dentistry and if you need cosmetic dentistry, your dentist should have experience with those procedures. We offer several services from simple cleanings to extractions so you can be sure we will meet your needs. Experience – Experience can mean the difference between having the job done right the first time and needing to return for extra work. A dentist that has experience doing certain procedures will be able to do them better and quicker then one who has little or no experience. Our dentists have extensive experience in all the services we offer and will get the job done right the first time. Flexible hours – When you are working a full time job and your children are going to school it can be hard to find the time to schedule in your dental visits without taking time off. We are open Saturdays so you won’t need to pull your kids out of school or take a sick day just to get dental care. Good reviews – With the internet and word of mouth, it can be easy to get reviews and opinions on dental practices. We have great reviews on both Yelp and our Facebook page so you know that we offer the best care available in the Edmonton, AB area. Searching for a new dentist can be overwhelming, but at Kingsway Dental Centre we put our patients first. If you would like more information on our dental office and the services we provide, please contact our office today! http://kingswaydentist.ca/wp-content/uploads/2017/03/KINGSWAY-1024x301.png 0 0 Chris Kerr http://kingswaydentist.ca/wp-content/uploads/2017/03/KINGSWAY-1024x301.png Chris Kerr2017-03-09 10:47:422017-07-10 17:10:11Welcome to our Edmonton Dental Office! Our teeth are made to last, and with proper care, can last a life time. Yet, poor dental hygiene and skipping dental appointments can make it hard for your teeth to last. From brushing correctly to regular cleanings, there are several ways you can help keep your teeth and mouth healthy and your smile beautiful. Brushing – Everyone knows that brushing is important, but it takes more than just a toothbrush and toothpaste to get the job done right. Toothbrushes are not created equal and it is important to find one that works best for you. Electric toothbrushes are known to work best, but if your preference is a manual toothbrush then you can still achieve clean teeth. It is best to choose a brush with soft bristles and hold the brush at a forty-five-degree angle so you don’t damage your gums. Flossing – While flossing often takes a backseat to brushing on the importance ranking, it can be even more vital to your gum health. Flossing correctly can help you remove the plaque and food particles that like to hide between your teeth and cause gum inflammation. Be sure not to snap the floss between your teeth and to be gentle when flossing so you don’t do more harm than good. Mouthwash – Mouthwash doesn’t have to be a part of your daily care routine, but it can help in several ways. It can kill cavity causing bacteria in your mouth, lowering your chances of both tooth decay and gum disease. Most will also help give you fresh breath. Yet, it is important to choose one that doesn’t have a high amount of alcohol since high levels of alcohol can actually damage your tooth’s enamel. Dental visits – Even brushing and flossing twice a day wont remove all the plaque and bacteria from your mouth. Plaque can turn into tartar which can only be removed with a deep clean from your dentist. This will help keep your gums healthy and your teeth strong. Dentists will also spot signs of possible cavities and gum disease before they become more painful and expensive problems. Having healthy teeth will save you time and money in the long run and good oral habits will help you achieve that goal. If you live in the Edmonton, AB area and would like more information or tips on keeping your teeth and gums healthy please contact Kingsway Dental Centre today. Going to the dentist already causes anxiety in many people, even more so when it is for oral surgery. However, the purpose of oral surgery is to help get rid of severe pain and treat extensive dental damage, not cause it. The thought of getting oral surgery can seem overwhelming, but at Kingsway Dental Centre we use the latest in dental technology to offer you more pain free and efficient dental care, especially when it comes to oral surgery. Severe tooth pain – Dental pain can be caused by several different problems including cavities, broken teeth and gum disease. 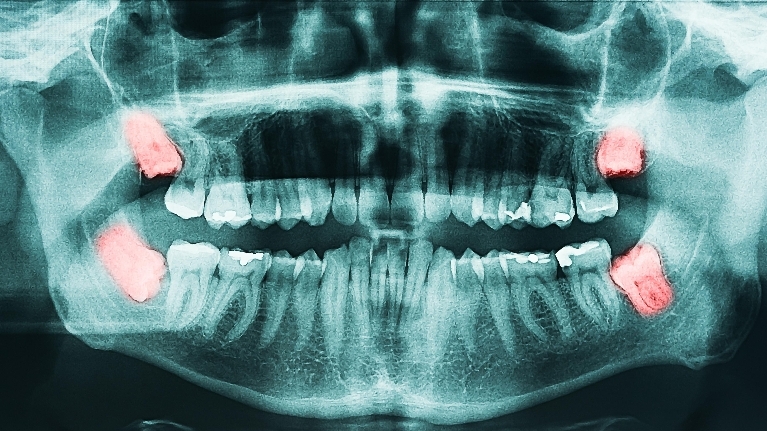 In many cases, you won’t need oral surgery to correct these issues, however there are a few conditions that will require the need for surgery such as impacted wisdom teeth and severe tooth decay. Though extractions are generally non-invasive procedures, they are still considered oral surgery since they require anesthesia. 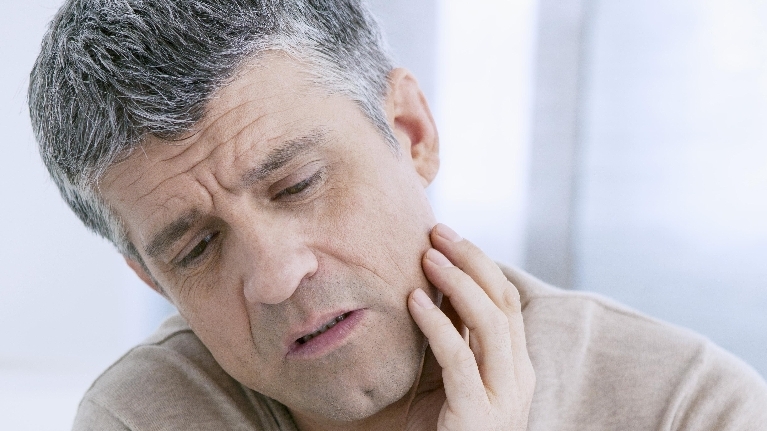 Jaw pain – Another common issue that may require oral surgery is jaw pain. In some cases, the upper and lower jaws don’t grow together properly and can cause issues speaking, breathing, and swallowing. One of the most common jaw related issues is Temporomandibular Joint disorders, or TMJ. TMJ can cause the jaw to pop when you chew or talk, resulting in severe headaches, jaw pain, and facial pain. While TMJ can be treated with medication and physical therapy, more severe cases will need surgery. Tooth loss – One of the most effective ways to treat the loss of a tooth, is with dental implants. Dental implants use an implant that is placed directly into the jaw bone where the root of your tooth used to be. This will help the implant be more stable and keep the bone from deteriorating. Once the implant is in place a tooth-colored crown will be attached giving you back both functionality and aesthetic appeal. While most of the time pain will not require oral surgery and can be an easily fixed, it is best to see your dentist as soon as possible. If you live in the Edmonton, AB area and would like more information on oral surgery, please do not hesitate to contact our office today!